In this book, children learn the story of Pocahontas. Famous for helping maintain peace between the English colonists and Native Americans, this brave Indian woman befriended the settlers at Jamestown, saving the life of their leader, Captain John Smith, whom she later married. I wonder if the synopsis is wrong? Does the book actually have that error in it? I'm at the Oak Park Public Library, in Oak Park, Illinois for the afternoon. While here, I thought I'd take a look to see their holdings about Pocahontas. I found Pocahontas: Princess of the New World by Kathleen Krull, illustrated by David Diaz. Published in 2007 by Walker Publishing Company, its title is the first indication that it is not a book that can provide young children with solid information about Pocahontas. Pocahontas was not a princess! say she was a princess. Sounds like a European princess, doesn't it? And therein is a clue: if it sounds European, it probably is, and here's why. When Europeans first came to the homelands of Native peoples, the incorrectly applied their knowledge of how European societies are structured to Native societies. We know better now, and have for a long time, and yet, we still see the word "princess" used in children's books about Pocahontas. "All the information we have on Pocahontas is from English sources--we have nothing from her perspective. Dramatic accounts of her role are often inaccurate." Interesting, eh? That word--inaccurate? It applies to Krull's book, too. She also says that she's tried to make sense of "the known facts" and that she has, especially, used Helen Rountree's Pocahontas's People: The Powhatan Indians of Virginia Through Four Centuries and David Price's Love and Hate in Jamestown: John Smith, Pocahontas, and the Heart of a New Nation, both of which are listed in her sources. However, Rountree doesn't use the word "princess" anywhere. Price uses it twice, without explanation. The first source Krull lists is Paula Gunn Allen's Pocahontas: Medicine Woman, Spy, Entrepreneur, Diplomat. 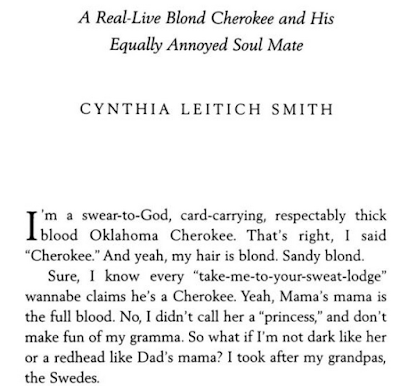 Princess is not one of the words she used in her book title, and, in the book itself, in several places, she puts "Indian Princess" in scare quotes. So what are we to make of Krull's use of that word? My recommendation is to remove this book from your shelves. If children in your library are using it to do research on Pocahontas, they are being ill-served by Pocahontas: Princess of the New World. Yesterday's email from Publisher's Weekly included two items that caught my attention. First is a new book due out this year: Vengeance Road. As far as I can determine, the author, Erin Bowman, is not Native. 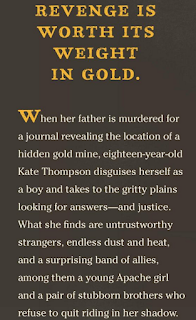 Here's a screen capture from the Amazon site, which tells us there is "a young Apache girl" in Vengeance Road (see 3rd line from the bottom of this screen capture). I don't know who did the trailer for the book, but it has a dreamcatcher in it. The book is set in 1877. Given that date, I don't think the dreamcatcher belongs in this story. Is there one in the book? I'll let you know when I get a copy. Or--if you've read it, do let me know! I visited the author's website and don't see anything there that indicates she is Native either. The blurb makes me uneasy because her character is "Native American" and named "Sofi Snow" and there's going to be some hunting. Oh, and the title has "evaporation" in it, which means changing from a solid to a gaseous state... Is Sofi going to evaporate?! I'm having serious doubts about this character! 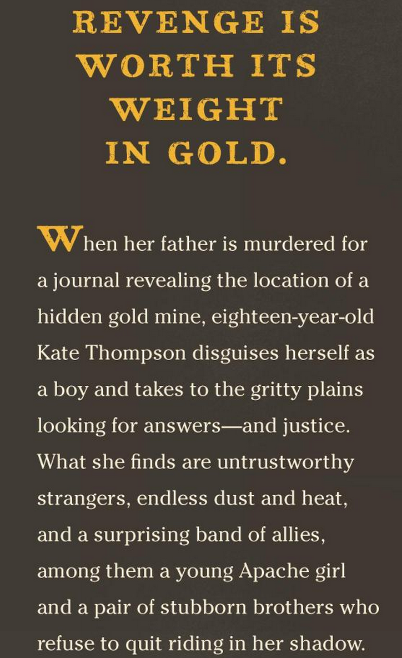 Vengeance Road is published by Houghton Mifflin Harcourt. The Evaporation of Sofi Snow is from HarperCollins. Both are major publishers. Will these two books be ones I recommend? We'll see. Before hitting upload on this post, I'll say this: I do not contend that a non-Native person cannot or should not write Native characters. They can, and they should, but they must be done with care so that they don't affirm existing stereotypes or introduce new ones. "How shall I describe your skin color?" A colleague in children's literature asked (on Facebook) how people of color, or people who write about people of color, would like the skin tone of characters of color to be described. Specifically she gave this example: a character who is Latina and has "caramel skin." Because there are objections to using food to describe skin color, she asked people of color and writers who create characters of color to weigh in: what would they prefer to "caramel skin"? The question itself assumes that a character who is Latino/a will have skin coloring that means they won't visibly look white, or, that they won't be mistaken for white by other characters in the story. The question embodies the fact that the character's identity matters to the story. Growing up in the southwest amongst people who might be called Latina or Hispanic or Spanish or Mexican or Mexican American, I know that there's a wide range of skin color amongst them, but, because northern New Mexico is an area in which people deeply identify with their specific heritage, I also know that the color of their skin is not what makes them feel Latino/a, or Hispanic, or Spanish, or Mexican, or Mexican American, or.... Pueblo Indian. Certainly, we've all experienced prejudice or acceptance based on our appearance, but I don't think skin color is what any of us would say as one of the first things we say about ourselves. I think my colleague's larger point is that characters are more than the color of their skin, and I think she's pushing people to dig more deeply so that a character's culture is the defining feature, or, a feature that shapes how they move about in the story. We all know, too, that physical description is somewhat of a default when writers introduce a character. Writers want us to visualize that character's physical presence, but the descriptors used often take the whole story off the rails. Because this colleague and I have talked before about Native people and our status as members/citizens of a specific tribal nation rather than people of color, I assume she was thinking specifically about people who aren't Native but are "of color." But, because so many people include Native peoples in the "people of color" framework, I decided to write this post in response to her question. See the range in appearance that I'm talking about? It makes the case that assumptions about skin color and a Native person's identity are likely to get a writer in hot water. I cringe opening a new book. Invariably, the descriptions of Native characters reflect those assumptions. I love that story--and others in Moccasin Thunder, too. I appreciate my colleague's question about skin color, but I also gotta say it was (for me) a bit uncomfortable. In essence, she was asking "How shall I describe your skin color?" I imagined sitting with someone who wondered what I would like them to say about my skin color. Would they ask the question if we were face to face? As I imagined that conversation, I looked down at my hands and wondered what I'd say. I definitely felt unsettled, imagining the conversation, even though the question is meant to help people avoid pitfalls. I'm usually more than happy to help people with questions, but this one... this morning... it just feels icky. I might be back to this post to say more about that icky feeling later, if I figure it out! For certain, I'd want to be described as a tribal member at Nambe. Indeed, I'm often asked how I should be described for a brochure or poster announcing a lecture I'm giving. I say that I'm tribally enrolled at Nambe Pueblo. That description means a lot. It opens doors to conversations that are rooted historically in the land, and in the political landscape of U.S. government/tribal nations. My skin color doesn't open that door. An aside about nationhood: Did you notice the people in the video say "I am Cherokee" rather than "I am part Cherokee"? That is important. It speaks to their nationhood. I don't know anyone who says "I am part American." Do you? Or "Part of me is a citizen of the U.S."